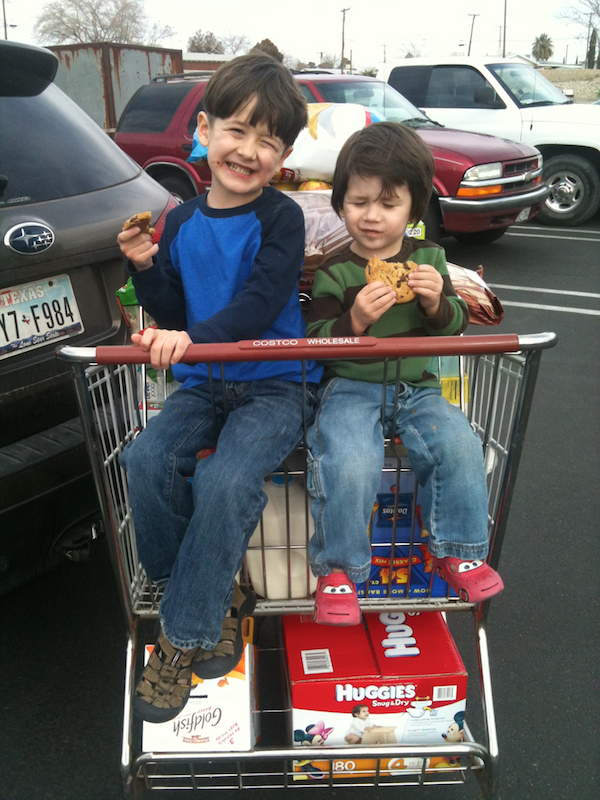 the harmon squad: this is what a trip to Costco looks like. this is what a trip to Costco looks like. 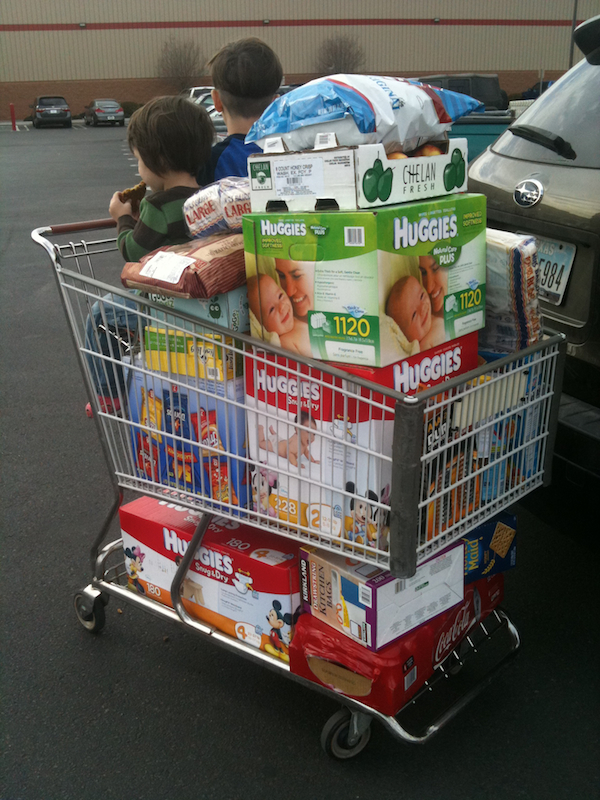 Well, what the trips I have to get diapers look like. I'm glad I snapped these a couple months ago; I'm sure I'll get a kick out of them once my kids are grown and out of the house. Also, Costco cookies are the best. Haha love it. Love Nick's shoes too! Man girl. How do you push that thing? i will miss you google reader.